As a United Financial member, you can save up to $15 on TurboTax® — the #1 best-selling tax software. 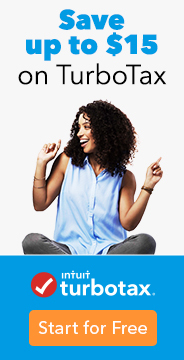 With TurboTax, you’ll get your taxes done right and your biggest possible refund. NEW: Expert review of your return. With TurboTax Live, you can have a live CPA or EA by your side to answer questions and review your tax return. Get a head start on your taxes. Snap a photo of your W-2, or import it into TurboTax from over 1 million companies. Either way, you’ll save time and get a jump start on your tax return. Start TurboTax now and save! #1 Best-Selling brand of tax software based on aggregated sales data for all tax year 2016 TurboTax products. 1 Limited time offer for TurboTax 2017. Terms, conditions, features, availability, pricing, fees, service and support options subject to change without notice. Intuit, TurboTax and TurboTax Online, among others, are registered trademarks and/or service marks of Intuit Inc. in the United States and other countries. State filing charges apply. Limited time offer for TurboTax 2016. Terms, conditions, features, availability, pricing, fees, service and support options subject to change without notice. Intuit, TurboTax and TurboTax Online, among others, are registered trademarks and/or service marks of Intuit Inc. in the United States and other countries. Other parties’ trademarks or service marks are the property of their respective owners.